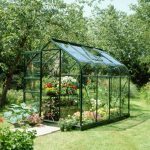 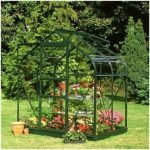 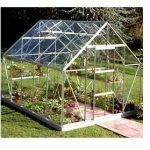 This is an excellent greenhouse choice if you have limited space as it fixes to the wall and has a single door. 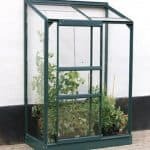 Made of silver trimmed aluminium frame with horticultural glass is ideal to grow delicate plants which need temperature control when the weather is poor. 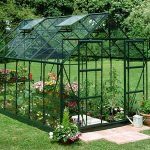 It is excellent for cultivating plants, vegetables and flowers throughout the year. 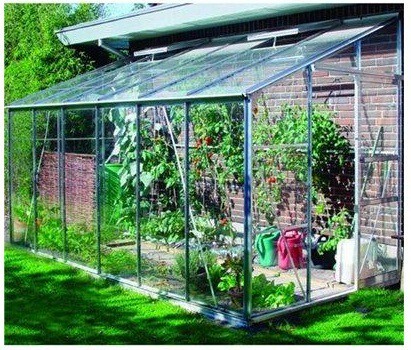 During the day, heat is generated from the glass and then at night time, heat that has been retained in the wall is released into the greenhouse. 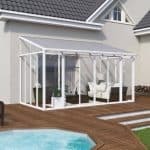 It is an all-round excellent Lean-To choice.